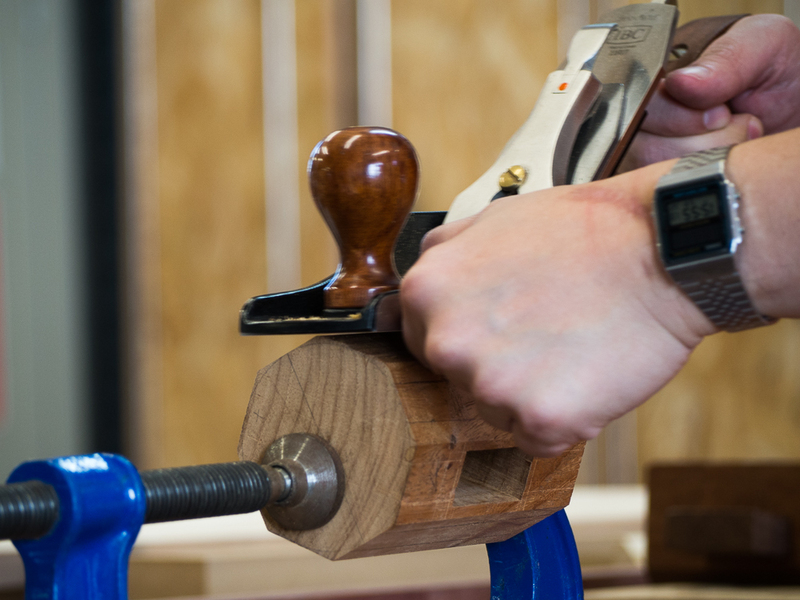 Woodwork Classes in Sydney at Heartwood Creative. Ally marking out parts for her box project. Doug cleaning up the mortise in his mallet head. Dale putting a fine chamfer on the edge of his box. Teamwork - Charmaine gluing up her box radio project. Clare happy with with her table mock up. 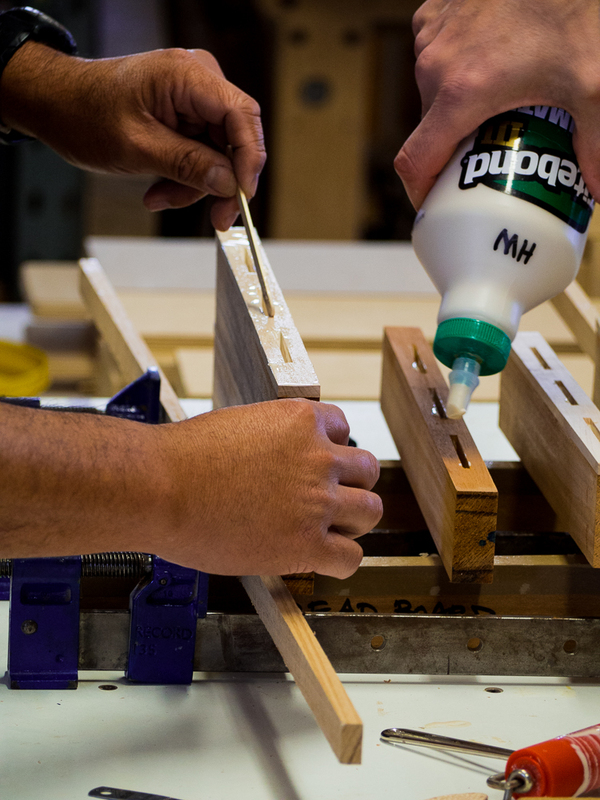 Good sanding is an important part of the process. 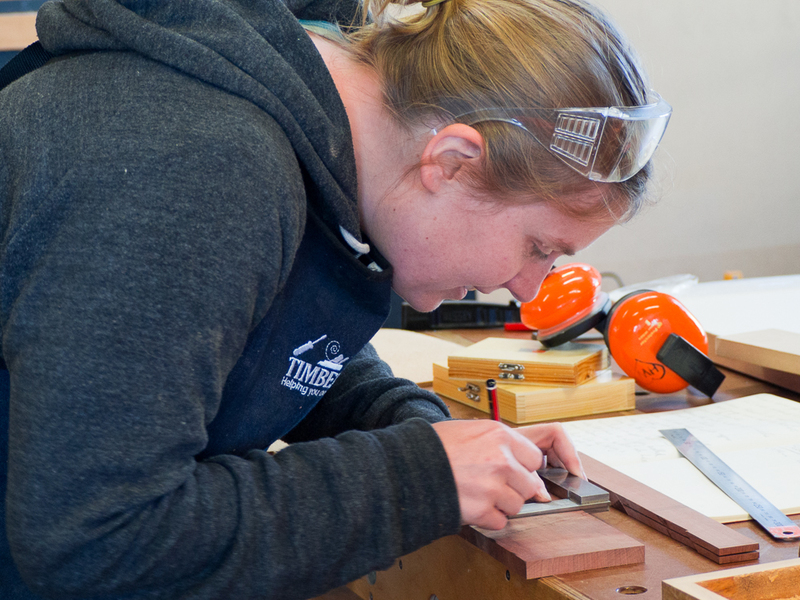 Cathy using a shoulder plane to field the panel for her box project. Vern carefully planing the facets of his mallet head stock, taking it to round. 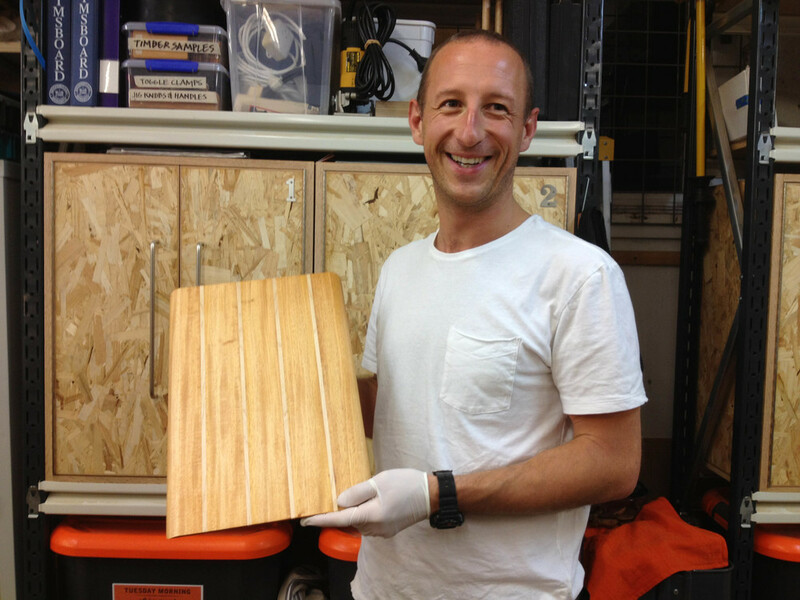 Phil cycled all the way from Manly to make this breadboard. Now he's making a surfboard! Adam uses a straight edge to check his edges are true. Hard Rock Maple lid on Peter's box. 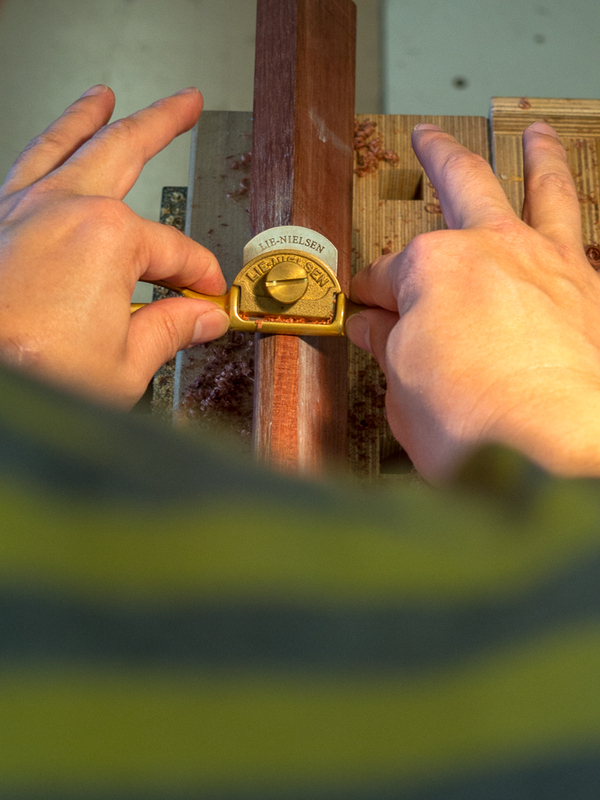 Vern using a spokeshave to shape the handle of his mallet. 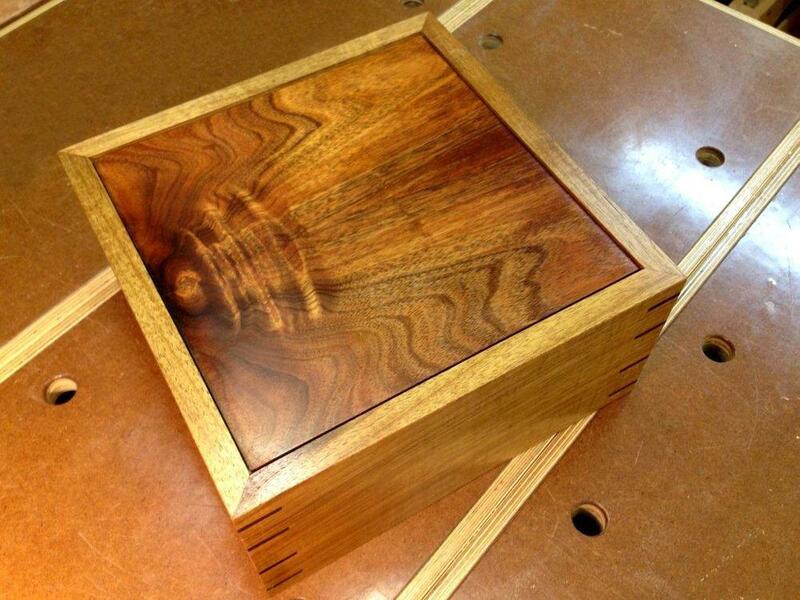 Shireen's completed box with keyed mitres. Dominique finishing off the head of his mallet with a cabinet scraper and sanding block. Jack's highly figured Silky Oak box before cutting the keys flush.